Astrology is considered to be a scientific subject which deals with calculations, Planetary positions and their Motion. The spiritual dimensions of Vedic Astrology attract intellectuals. It gives a picture of the past, present and the future of a native. The past and the Present is considered to be easily analysed from Vedic horoscope if the birth details of a native are accurately recorded. These birth details involve the date, time and place of birth. Since, the past and the present is certainly witnessed by the native, it is easy to cross check. The real challenge that arises is that of checking the future. Since the future is yet to happen. Though future is certainly an extension of present and the past, however the outcome of the future need not be exactly the same as the past and the present be. In Hindu religion, the principals are based on four pillars. These four principals are Dharma, which is Duty, Artha which is Career, wealth and income, Kaama which is desire and Moksha which is liberation. It is believed that all the four stages lead to completion of a human existence in this world. Therefore, if a native is able to endure the first three, the last will be easily achieved by them, which is liberation. However, is that as simple as mentioned? May not be so. Astrology will certainly guide you on your Dharma, Artha, Kaama and then finally to reach your Moksha. However, the executor is always the native who would consult an astrologer an act accordingly. Since, the executor is always the native, there is one more element which is embedded in the above process. And that is Karma. The role of Karma can be very well explained by the mythological story of Mahabharata. As we all know, during that era, the battle was between the Kaurava’s and the Pandava’s. It is well documented in the scripts of Puranas, that Karna from Kaurava’s had requested Sahadev of Pandava’s to check out the auspicious time to start the epic Mahabharata. As Sahadev was considered to be an eliminant astrologer of that era. It was believed that when Sahadev calculated the timing, he knew it well in advance that the batter would be won only by the Pandava’s. He was so sure that, telepathically lord Krishna had advised Sahadev not to disclose the outcome of the battle to anyone. As an Obedient individual, Sahadev readily agreed and remained quite till the end of the epic Mahabharata. It is here if one would read carefully will understand the spiritual angle of astrology. Had Sahadev disclosed the outcome in advanced, then the Universe would have not got the most important text of Hinduism which is “Bhagavat Geeta”. Arjuna the arch hero of Pandavas was unwilling to participate in the battle. What he had perceived to be the destruction of his Kaurava clan with his sage teachers, was painful to imagine. However, Arjuna did know that he would lose his beloved Son, Abhimanyu in the Mahabharata battle. Also, Arjuna would have refused to take part in the same battle. As Arjuna was unwilling to take part in the battle which made Lord Krishna to propound the following golden words. The meaning to the above is very simple, you certainly have a right to act or perform your duty, which will have an Artha (read it a meaning) but you are not entitled to the fruits of your actions. Leave the fruits and the outcome part to me! Thus, was the words of lord Krishna. The reason behind this entire episode is that Lord Krishna, the almighty god, wanted Arjuna to give their 100% dedication and efforts to achieve what the Pandava’s desired to achieve. In case if there was any deviation or they digress from the true goal, then the outcome will certainly be altered. It was hence, lord Krishna said, you have only one choice, to perform your duty and take my name in the entire process. Since, I shall stand by your dedication and ensure that you give 100% efforts to what you plan to achieve. Therefore, the spiritual angle was first recorded in the Hindu Scripts of Puranas and given an importance to dedication, over and above the outcome which was never in the hands of an individual. Thus, Astrology has always given directions like a torch bearer to give pave the way for an individual to achieve what they intend to achieve. However, the true outcome will depend upon your ability to reach your destiny, with dedication. One can argue that Lord Krishna existed in Treta yuga to give direction to the Pandava’s. However, we are less fortunate as we could not seek the blessings of lord Krishna. However, Lord Krishna the almighty has always blessed the Universe with his bane that any one following the four pillars of their life, with dedication, shall certainly be blessed by me to reach the pinnacle of their life. Hence, it is here the importance of astrology and its spiritual side comes to our rescue. 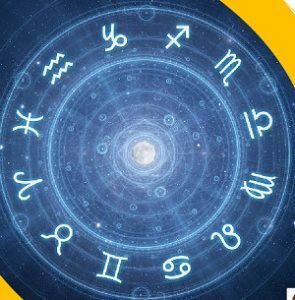 To know more about your destiny and to seek guidance astrologically, you can reach out to our website www.futurepointindia.com or write to us at mail@futurepointindia.com. Future point is always willing to help the needed with exact and accurate astrological prediction.